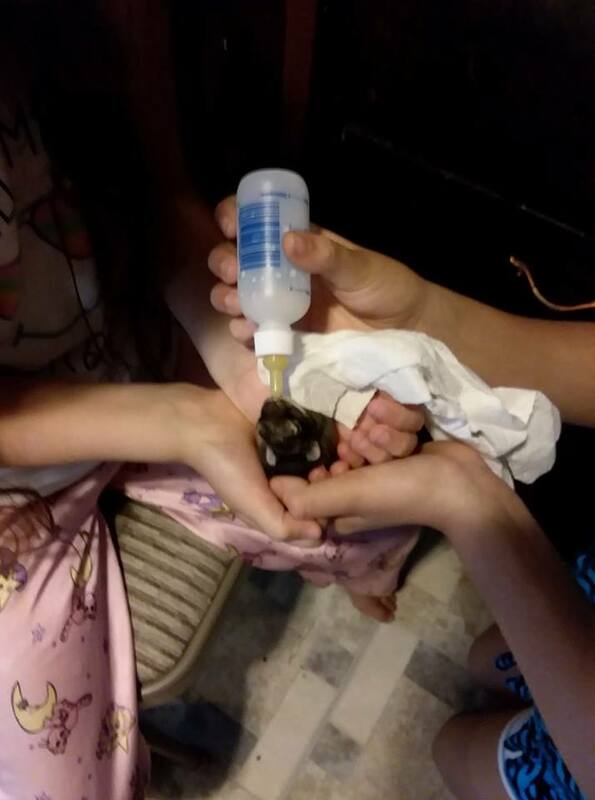 My parents found a 4-day-old rabbit in their back yard a couple days ago. At first, they figured the mother was still around. However, their neighbor found the nest and discovered all of its brothers/sisters were dead. So, assuming the mother either abandoned them or was killed, they took it in. Of course, none of us knows how to take care of a rabbit that young and knew, even though we could get it to eat formula, it probably wasn't going to survive. So, my wife called up the Wildlife in Need Center in Oconomowoc and we drove it down there. It was 100 miles round trip and there's still no guarantee the little guy (or girl) will survive. But, I think it was worth it because at least now it'll have a fighting chance.